Due to our ever increasing demand for high quality bands in Falkirk, we are inviting bands to join our rapidly expanding national band booking agency. If you are an experienced band in the Falkirk area looking for gigs, we have enquiries daily for bands in your area. 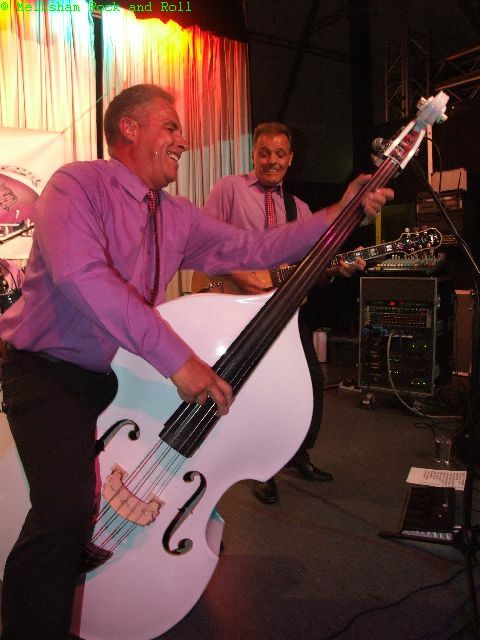 A four piece rock'n'roll band consisting of Double Bass, Guitar, Piano, and Drums based in Bristol playing songs from the 1950's from artists such as Jerry Lee Lewis, Little Richard, Ray Charles, Carl Perkins, Johnny Preston, Bobby Darin, Johnny Ray and Louis Prima to name a few.